We offers two different ZERON 100 round bar products to service the fastener industry with high strength, highly corrosion resistant products. To provide a ZERON 100 bar products with increased tensile properties the ZERON 100 FG variety was created. Lightly cold working the bar to its final size provides higher strength. ZERON 100 FG meets the requirements of ASTM A 276 for UNS S32760 Condition S. “S” indicates the strain hardened condition. For faster design purposes, ZERON 100 FG meets the mechanical requirements of ASTM A 193, Grade B7 material. 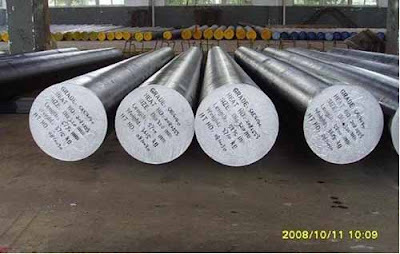 ASTM A 193 is a specification covering alloy and stainless steel bolting for high temperature or high pressure service. ZERON 100 is not specifically addressed in the specification, so the B7 grade is referenced for mechanical property information. ZERON 100 is frequently specified for pipework systems handling corrosive fluids. Although many pipes and fittings are joined by welding, in some places it is necessary to use flange connections. Where corrosion of the flange bolts may occur it is desirable to use corrosion resistant fasteners. ZERON 100 is available as a fastener in two different grades. FG grade meets the tensile properties of ASTM A193 grade B7. In addition ZERON 100 is available as fasteners in the solution annealed form. This has a lower yield and tensile strength compared with FG, but headed fasteners can be manufactured more cheaply in the solution annealed condition. This is because solution annealed bolts can be headed by forging followed by solution annealing, while FG, whose properties are produced by controlled strain hardening, must be machined from bar. Galling is often assumed to be a problem with stainless steels. The problem is traditionally associated with 300 series austenitic alloys. Galling is less of a problem with more highly alloyed austenitic and duplex alloys. 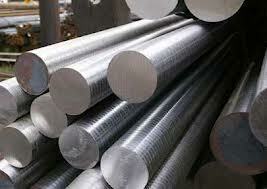 Bar in ZERON 100 SA for nuts, is supplied in the solution annealed condition. This typically has a hardness of 50HV less than that of cold worked FG material. This will minimize the risk of galling. ZERON 100 bolts have been used for many years in submersible marine pumps and it is common practice to coat fasteners with ~6μm of copper. This is produced by electroplating and is usually applied to the male stud. This is to ensure ease in dismantling for servicing of the pumps. In critical applications, where very high torques are required, successful use has been reported of conventional anti-galling sprays (e.g. Rocol), copper-loaded greases, and PTFE coatings. The use of molybdenum disulphide lubricant should be avoided for elevated temperature service, because of the risk of decomposition of the lubricant leading to sulphide attack. The ZERON 100 FG also meets the minimum Charpy impact toughness values of 40 joules (29.5 ft-lbf) at -50°C (-58°F). Both ZERON 100 and ZERON 100 FG meet the chemistry requirements of UNS S32760 and are made to a minimum PREn (pitting resistance equivalent) of 40 and are suitable for seawater service.